Pete Kambitsis and Mike Amvrosiatos are the brains and brawn behind Pete’s BBQ. They believe in changin the world of eats, they believe in thinkin differently, they believe that by offering extraordinary grub, for a value price, prepared by a valued and properly compensated crew, creates a win/win for everyone involved. Cousins with a rich hospitality background but yearn’ for the best darn BBQ in the world, the duo teamed up in 2017 to give the world the gift of perfectly smoked barbeque. 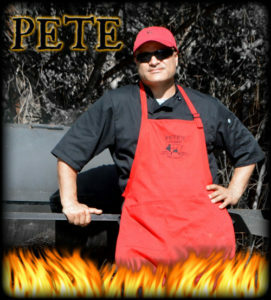 Pete grew up in New Orleans and taught himself how to cook mouth-waterin’ Cajun and creole food. But don’t let him fool ya, Pete’s also spent time at the Florida culinary institute, years cooking professionally, and has honed his barbecue skills for the better part of a decade. 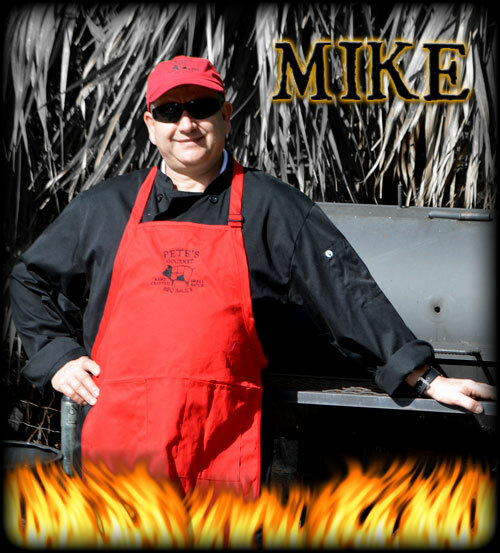 Coupled with Mike’s 40 plus years of restaurant ownership and management experience, they’re a winning team fit to open a world-class BBQ joint. It all started way back in 2007 when Pete and Mike started thinkin’ about opening a restaurant where they could share their delicious dishes with the community. Thanks to the 2008 financial crash, plans changed. But Pete didn’t waste his downtime. He experimented with dry rubs, tinkered with his homemade barbeque sauce, and made enough barbecue to keep the whole city satisfied. Eventually, all that experimenting paid off and Pete decided to launch his very own gourmet BBQ sauce. As he let folks try his BBQ sauce on his homemade barbecue, they kept asking him when his restaurant was going to open. It didn’t take much to push Pete in that direction, and he found himself talking with his cousin Mike to see if now was as good a time as any to move forward with their original idea. And in spring of 2017 work began to open Pete’s Gourmet BBQ. While downright good tastin’ BBQ is what we’re all about, we are also committed to bringing you the highest quality food possible. Every chicken we prepare for 20 plus hours, is lovingly marinated, dry rubbed, and slow smoked, so every bite can melt in your mouth like it ought to. We also know that without mother earth none of this delicious food would be possible. That’s why we cook as little meat as possible so there’s very little waste from our food production. Doing this also guarantees we have the freshest, highest quality, most affordably priced BBQ plates anywhere in Florida. 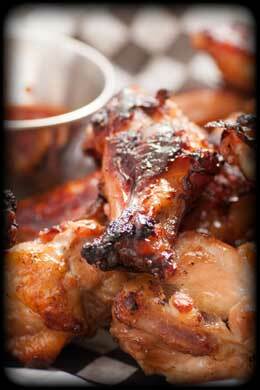 So if ya’ll turn up later in the day for some of our tasty barbecue don’t be surprised if we’re sold out. We serve less than we could to reduce our impact on the environment, just like mama taught us to. It’s our philosophy, so we hope y’all show up early so you never miss out. 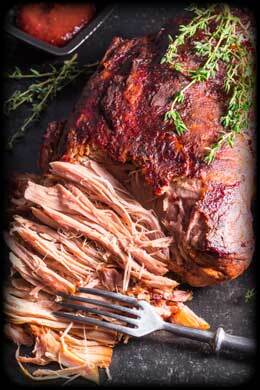 We know what BBQ lovers want, because we are BBQ lovers. We know how magical it is when a piece of meat is in a perfect balance of smoke, seasonings, and texture so melts in your mouth. We know how well cole slaw and tatter salad pairs with the perfect piece of BBQ. And we know that great side dishes enhance the flavor of every BBQ experience. If you’re looking for smoked goodness wrapped up in the best tasting barbeque sauce and served up by a couple of guys who truly care about how their business affects their community and planet, then Pete’s Gourmet BBQ is the place to eat. Y’all come see what all the fuss is about.